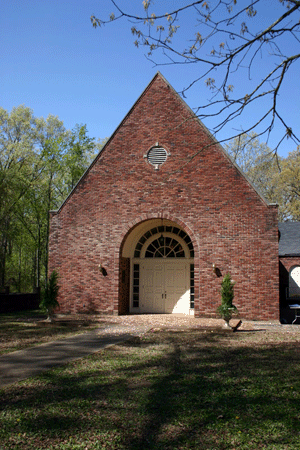 Griffin Chapel is owned and managed by the non-profit Pleasant Hill Cemetery Association (PHCA) in Brunswick, Tennessee. All proceeds from your event go directly into the Chapel fund to maintain this wonderful facility. Not only is Griffin Chapel the perfect place for that storybook wedding, but you can also feel good about your commitment to the chapel, as you will be helping us with this historic preservation effort. Visit our Availability page to view our calendar and see what dates are available for booking. Visit our Contact Us page to request more information or to tentatively reserve a date.